I have been using models for some time now as artist references for my various Osprey history books. Occasionally, I go one step further and use them to create a completed illustration. 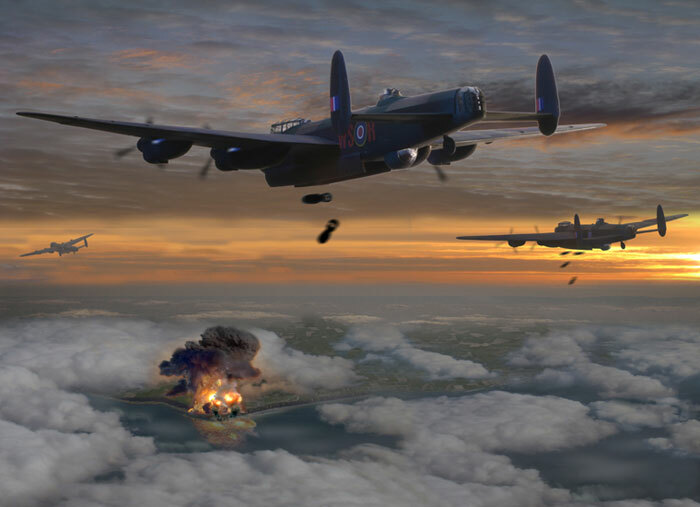 This is my latest effort, which depicts Operation Flashlamp, the RAF strikes against Wehrmacht coastal defense batteries in Normandy in the pre-dawn hours of D-Day. This shows the strike against Pointe-du-Hoc by elements of 5 Group. The illustration is based around a 1/144th scale A-Model Lancaster I picked up at the IPMS Nationals last month. It was pretty much an out-of-box job.